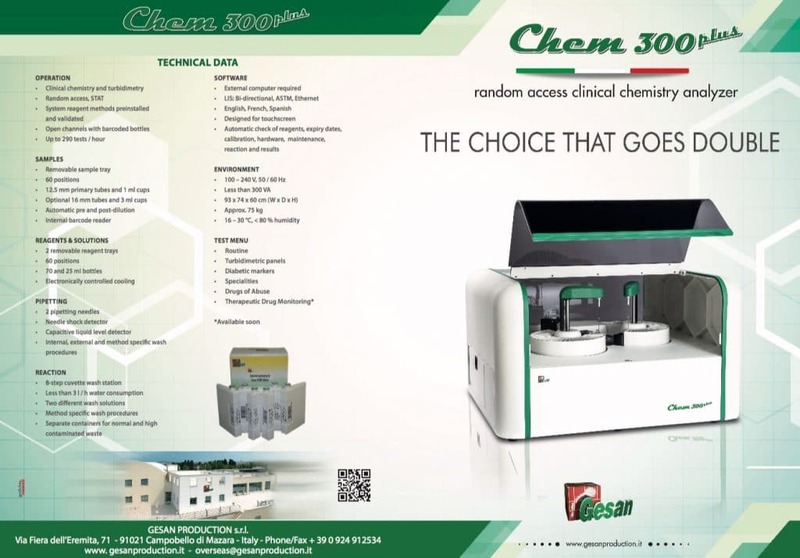 Chem 300 plus clinical chemistry analyzer has an extensive assay menu combined with proven hardware and software to increase efficiency and reduce running costs of the laboratory. 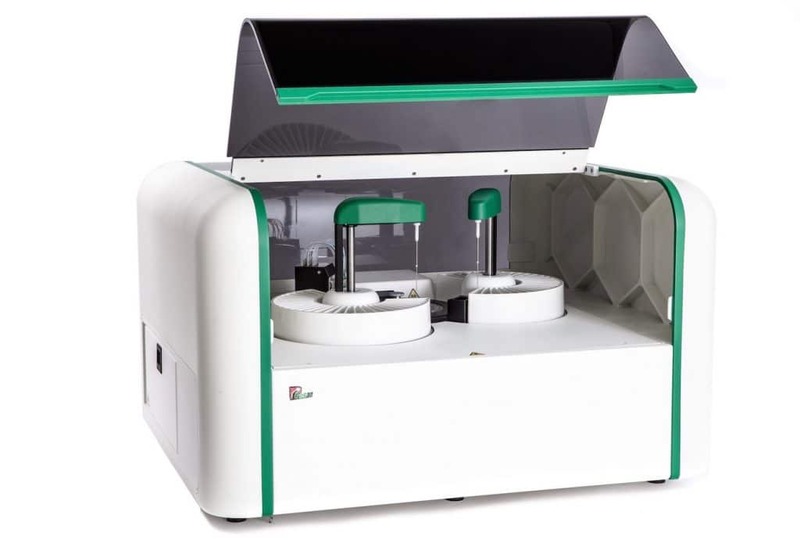 The 2 reagent plat design is an innovative solution and thanks to its 30+30 positions in two different rotors gives to the lab the opportunity to work as it had 2 instruments. Remote diagnostic control allows the service personnel to resolve errors quickly and efficiently without an on-site visit.